Freightliner Vans cares about your safety. That’s why we provide the latest recall information about your van. The automotive industry is facing an unprecedented challenge with respect to the recall of Takata airbags. As you probably know, the National Highway Traffic Safety Administration (NHTSA) has made the determination that millions of Takata airbags are potentially defective and the inflators in these airbags, if defective, could explode causing injury or even death. Mercedes-Benz and Freightliner Sprinter vans uses these driver-side and passenger-side Takata airbags in many of our vehicles and, while we have not seen any related incidents in our vehicles, given NHTSA's determination that a safety risk exists, we are recalling Mercedes-Benz and Freightliner Sprinter vans which use the affected airbags. Your safety and peace of mind are our top priority. Given the sheer size of the total affected vehicle population, NHTSA is making the determination as to when and to whom available airbags are allocated under their Coordinated Remedy Program. 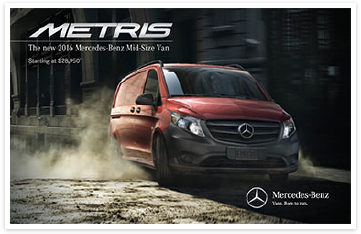 This means that we are subject to parts availability constraints as we seek to bring Mercedes-Benz and Freightliner Sprinter vans back to our dealerships to have these airbags replaced. This is not a desirable situation but it is one over which we have little control. We will keep this page updated with information as it becomes available and will, of course, inform you individually as the parts become available. Should you need additional assistance, please visit www.mbvans.com or www.freightlinersprinterusa.com, or contact our Customer Support at 1-877-496-3691. Utilizing a third party vendor to perform customer outreach, DVUSA is contacting customers using a burst of different communication methods including: email, SMS Text, and Phone Calls with 8 communications per customer per communication method. A post card will also be sent per customer. This will be repeated quarterly for unrepaired vehicles. For the oldest affected vehicle population (2007-2008 MY Sprinters - Priority Group 1 & 2), DVUSA is offering affected customers a fuel card incentive for each affected vehicle repaired. These affected customers will receive direct communication via postcard, SMS text, phone call, or email. Once the repair is fulfilled the customer will receive the fuel card incentive by mail. DVUSA is partnering with special groups, such as Recreational Vehicle Industry Association (RVIA) and RV owner groups, to bring awareness to customers who may be affected by the TAKATA airbag recall. Using this segmentation technique DVUSA can reach a more specialized group of customers. Daimler Vans USA’s (DVUSA) mobile service initiative allows authorized dealerships to dispatch mobile tech teams to make repairs on TAKATA affected vehicles. Dealers will receive an incentive for each vehicle repaired. This measure allows customers to have their vehicles repaired at a location of their convenience rather than going to a dealership. DVUSA is working closely with our dealer teams on dealer communication, dealer key performance indicators metrics, dealer to customer relationship building, and dealer incentives. DVUSA is partnering with auction houses so that dealer mobile repair teams can gain access to auction premises and complete repairs on affected vehicles. We are also working with auction houses to schedule repairs at local authorized dealers. DVUSA is exploring potential partnerships with IRFs to schedule mobile or in-shop repairs with authorized dealers. 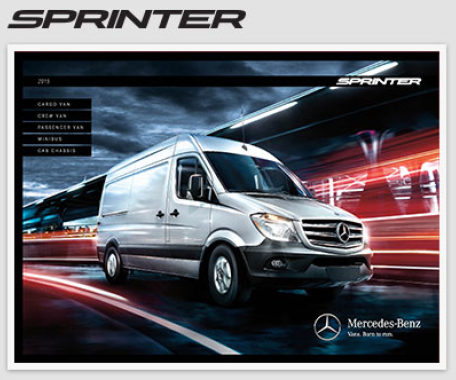 Utilizing IRFs would be beneficial for our customers who perform their vehicle maintenance at non-authorized Sprinter dealers. Daimler Vans USA (DVUSA) and other OEMs, with the support of some state DMVs, are collaborating to create awareness among affected customers. DVUSA is currently participating in canvassing efforts along with other OEMs to reach affected vehicle owners. These efforts will alert our dealers and/or local field personnel in or near target zip codes to reach out to customers in a specified area of influence. This allows OEMs to collaborate and increase completion rates within key geographies. In addition, DVUSA also participated in the South FL Airbag Recall Awareness Event. This event was broadcast to over 20 news stations to raise awareness among Florida residents. DVUSA is collaborating with other OEMs to target unique populations such as military bases and Tribal Nations. A joint OEM letter is currently being sent to Tribal Nations, while the process for identifying affected vehicles on military bases is still being formalized. Find out more about the Takata recall and how to stay safe on the road from the National Highway Traffic Safety Administration’s official website. Get more details on your vehicle, and learn how to stay safe on the road from the National Highway Traffic Safety Administration’s official website. Recall information prior to January 1, 1990 is not included.